The Government disputes this and asserts that proposals give local communities greater powers to protect their localities from unwanted development. It argues that local considerations about desirable development will be, and should be, dominant in future. Anyone who has travelled in recent times will have noticed large modern housing estates on the edges of many towns. The norm is uniformity of style and materials. Hundreds of houses constructed at the same time are often densely packed on a single site. Profit has arguably been the sole intent behind such developments, but it must be allowed that house-building quotas do influence unimaginative councils in the direction of such sprawl. Debate centres upon appropriate locations for housing, and upon appropriate protections for the countryside. What seems lacking is serious attention to the quality of living environment desired by the community. The Royal Institute of British Architects (RIBA) last week criticised the average size of new houses, describing them as ‘shameful shoebox homes’. The concept of a home is vital. It provides human beings with a sense of place, of belonging, and the concept cannot be circumscribed solely by walls and roof. It is the immediate community of residence for the person. The supply of housing must be examined in a much more holistic and humane manner. People and communities are in good measure shaped by their surroundings. It is no accident that poorly designed tower-block estates, with their cold and brutal architecture, have been plagued by petty crime and anti-social behaviour; nor that the back-to-back slums of old were breeding grounds of like disorders. In sharp contrast, well-planned and high-quality garden suburbs respect the environmental components of healthy residential life. Hampstead Garden Surburb is one such, as is the village of Saltaire. Another example is the town of Letchworth wherein Sir Ebenezer Howard’s ideas were translated into reality. Due care and attention was paid to housing quality and density. The intention was to create a positive environment for a community to develop. Many homes and communities fail to please the eye and clash with the common sense of the average person. They lack variety and jar with the existing built environment, failing to provide a healthy admixture of greenery and open space. Such places of residence fail persons often driven perforce to dwell in them, as well as society at large which suffers the effects of dysfunctional family life. While legislation is not, and cannot, be the sole remedy for society’s ills and particular injustices, history has shown that a deficient or poor legal framework will in many cases lead to shoddy housing and its social consequences. 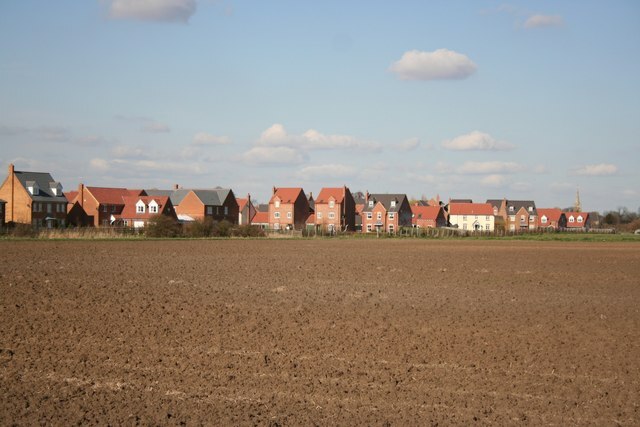 While the Government consults on planning regulation we have an opportunity to change the focus of guidance given towards a higher specification for home-building and value added for local communities. The Department for Communities and Local Government might do well to invest in a few copies of Sir Ebenezer Howard’s Garden Cities of To-morrow.